Uniformitarian models fail to explain the remarkably well-preserved fish fossils in the Green River Formation, Wyoming, USA. Although the models have been frequently modified, and become progressively more complex, they still do not account for the variations in the number and thickness of laminae between time-synchronous events, the flatness and geographical extent of the layers, or the presence of soft sediment deformation structures. In addition, the models have problems explaining the fossils of bottom-feeding catfish and the absence of scavenging. Finally, the models cannot account for why large numbers of fish suffocated quickly, or how fish coprolites were preserved in abundance. Coprolites are statistically the most significantly factor correlated with fossil fish preservation in the Green River Formation. New experimental evidence on the faeces of modern fish show that faeces must be buried in less than 24 hours if they are to be preserved as coprolites in the fossil record. Instead of slow-and-gradual, uniformitarian processes, the Green River Formation was deposited rapidly in a series of catastrophic events. This accords with all the observations, including the experimental constraints on the preservation of fish coprolites. This new model can be applied to other, similar depositional basins. However, within this evolutionary framework, controversy has arisen over the paleolimnological6 and environmental conditions represented by these fish-bearing beds. The depositional environment of the sites has been interpreted progressively as a chemically or thermally-stratified deep lake,7 shallow playa lakes,8 or some sort of composite environment.9, 10 A complexly evolving system has also been proposed.11 This trend to develop increasingly complex models to account for the sediment deposition and fish preservation, has been driven by the growing number of observations that contradict previously proposed models, forcing them to be abandoned. The existence of abundant fish coprolites (Figure 3, right) in the Green River Formation poses a significant challenge to any model for the origin of the depositional basins. However, I will describe a simple model that accords well with observations. To fill the void left by the failure of the varve theory, the playa-lake model was proposed.8 In this model, much of the Green River Formation was deposited in a playa complex comprising environments such as shallow, ephemeral, unstratified ponds and emergent mud flats. In essence, sediment was deposited in a shallow, unstratified or intermittently stratified lake surrounded by extensive salt flats. It is envisaged that brine chemistry would change on a playa with increasing Mg/Ca ratio in the ground water from the playa toward the lake margin, due to precipitation of CaCO3. However, this model does not explain the evidence from chemical petrology and mineralogy,9, 16 and so efforts have been made to save the model by makeshift modifications. The complex models that have been proposed tend to resemble improbable ad hoc explanations rather than predictive models.18 The difficulty, it seems, is that the formation layers display essentially no independent environmental indicators.2, 14, 19 So, even if we grant unusual circumstances, which might have produced one of the layers in the Green River Formation, the model stretches one’s credulity because of the need to repeat the circumstances to produced the observed layering. Walther’s Law states that facies which appear in uninterrupted stratigraphic succession must originally have been laid beside each other. It has been noted that this limitation to Walther’s Law in the Green River Formation ‘has created considerable confusion’.11 The confusion can be traced to the uniformitarian expectations that the deposits were laid down over eons of time. If one admits the possibility of catastrophic deposition of a massive volume of sediment that momentarily retains its fluidity, then the problem with Walther’s Law is resolved. In addition to the problem with Walther’s Law, the Green River Formation layers ‘contain numerous soft-sediment deformation structures; including ball and pillow and hydro-plastic intrastratal flow structures’23 (Figure 6, left). These ‘ball and pillow and other soft-sediment deformation structures, and evidence for intrastratal flow [i.e. clasts of roof material incorporated and transported laterally from centimeters to more than a meter] all indicate rapid deposition, and demonstrate the fluidity [high water content], and lack of shear strength even after deposition’ of the deposit.23, 24 In addition, ‘vertical associations are large-scale arcuate [curved] or fold structures (wavelengths 3 to 4 m), soft-sediment injection features, and mudcracks up to 2 meters deep’.25 It would appear reasonable to associate these rapid depositional features to the problems with Walther’s Law. The depositional models so far proposed for the Green River Formation have consistently failed to explain the observations and have required an ever-increasing number of complicated, ad hoc secondary assumptions.28 Consequently there has been a move to obtain more detailed data in an effort the clear the confusion. In addition, there is no statistical correlation of fossil fish with tuff beds, little lateral change in fish densities or fish species in time-synchronous lithofacies (identifiable rock unit), and fish are almost as well preserved in organic-rich laminates as in laminates lacking much organic matter.29 Furthermore, fish fossil density varies dramatically in vertical profile with practically no change in lamina character. Bottom-feeding fish are preserved in well-laminated and kerogen-rich micrites (bitumen-rich limestone), and only minor fish fauna changes occur from the supposed lake centre to its margin.29 All these facts conflict with the slow-and-gradual depositional models, but are easily accommodated by a model based on the rapid deposition of sediment over a vast area. Consider some of the other correlations discovered, and how these are not only explained, but also predicted by a rapid deposition model for the basin. Consider, too, how the evidence does not fit with in situ fossilization. Notice that the first sentence of this quote deals with statistically determined facts and the extraordinary quality of fossil fish preservation. Yet the interpreted environment in the second sentence shows an a priori prejudice that the layers represent in situ deposition. The interpretation excludes the possibility of catastrophic transport. It is this uniformitarian assumption that should be questioned in view of its consistent failure to produce plausible depositional models for the Green River Formation. The first is the composition of the fish coprolites. Edwards notes from chemical analysis that there are traces of yttrium which are undoubtedly of diagenetic origin (i.e. entering after the material was deposited). Another author notes that there is a ‘minor amount of pyrochroite present in Green River Formation fish coprolite specimens, however, this mineral has not previously been reported in Green River Formation sediments’.31 This certainly raises questions. Were the fish transported from another location? Were the chemical investigations incomplete? Did some sort of leaching process remove these chemicals? The second point of interest is best put in Edwards’ own words. ‘The preservation of rope-like strands of faeces as coprolites must have occurred in an extremely low-energy environment, as the sediments in which they occur would suggest, perhaps having been further protected by a mucus coating’31 (Figure 8, right). To further investigate the faecal fossilization process, I performed experiments to test the decomposition rates of faeces from all three dietary classes of fish (i.e. herbivores, carnivores and omnivores). In unperturbed water at room-temperature (25°C), 30 specimens of fresh faecal material from each dietary class were allowed to decompose normally in water at pH 6.5.33 All samples showed visible signs of decay in just slightly over one day. Within 3.5 days all samples had decomposed into small silt-sized particles. (There was only a 5% difference in the time taken for the faeces from the different dietary classes to display visible disintegration. Furthermore, there was only a 2% difference in the time it took for the specimens to totally decompose.) This was in water in a rectangular prism with an approximate capacity of 5,900 cm3 and no perturbation. If, as required in Ferber’s model, the faeces had been perturbed, even slightly, disintegration would have been even more rapid. Thus, the faeces must have been preserved in sediment within 24 hours. And this does not take into account any disruption of the faecal material expected while it sank to the bottom of a deep lake (if the stratified lake model were the relevant one). The undisturbed nature of the coprolites, and the seeming lack of intermediate stages of disintegration, suggest in situ deposition of faeces within unconsolidated and fluid sediment. It could be asked whether intestinal cleansing, related to the traumatic death of the fish, was the source of the faeces? One author notes that intestinal cleansing in mass fish kills does occur, but that it is not common.31 However, he does not appear to be referring to anything like the traumatic situation experienced by the fish in the Green River Formation, as evidenced by the extreme contraction of the muscles (tetany) evidenced in their fossilized specimens. 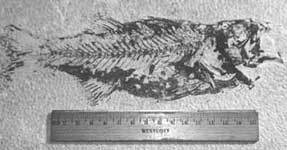 In regards to the fossil fish of the Green River Formation, or any formation for that matter, fish taphonomy34 can aid in refining environmental interpretations. This is because modern analogues indicate that fossil preservation can be traced to several fairly recognizable conditions. Tetany is the extreme contraction of muscles during death, and indicates traumatic death. The muscular contractions of the death throes of fish result in widely gaping mouths and gills, fanned and stiffened fins, and, in extreme cases, arching of the body.2, 14 Tetany indicates how a fish died. Together with the examination of the disarticulation of fish carcasses, tetany can tell much of post-death history by distinguishing pre-burial scavenging, post-burial bioturbation, disarticulation by water movement, and floating during decomposition. Tetany can occur from respiratory stress, heat shock, salinity or alkalinity shock. Heat shock, being associated with rising temperatures, necessarily results in disintegration of the carcass during floating. Fish dying of salinity shock will exhibit dehydration contortions and a lack of tetany. Therefore, only death from respiratory stress coupled with rapid burial will likely result in widely preserved tetany. summertime loss of a habitable zone, when lethal-maximum isotherms descending through the lake meet ascending isopleths of toxicity (lethal salinities, oxygen minima, H2S alkalinity, or ammonia). However, all three mechanisms have problems. There were no organic laminae that were preserved, and some fish were buried before decay. Oxygenating the bottom should also promote immediate scavenging. The ‘ubiquitous fish coprolites’2 are disturbing. In addition, the improbability of repeated occurrences of a peculiar, though not impossible, set of conditions would have to be explained. The evidence suggests that the fossil fish of the Green River Formation were buried quickly in an unconsolidated, highly-fluid sediment which was rapidly deposited over a vast area of low relief. It is possible that deposition was the result of a series of extraordinarily heavy rainfalls.35 The fish that were entombed died of suffocation without significant transport from their place of extinction. They died a traumatic death in a place not normally their habitat. The ubiquitous existence of fish faecal material bears witness both to the trauma of their death and to the speed of deposition. My faecal disintegration experiments argue for a burial time of 24 hours or less. The often-noted violation of Walther’s Law concerning the stratigraphy of the Green River Formation, in addition to the variation in thickness and number of the layers between time-synchronous volcanic-eruption related layers, leads to a view of a rapidly deposited and plastically slumping mass of sediment creating the Green River Formation. Evidence concerning the fluidity of the sediment layers bolsters this interpretation. These findings can be extended to other similar sedimentary basins. Where the physiology of a species permits, one would expect fossil preservation to be highly correlated with the presence of coprolites under conditions similar to those postulated for the origin of the Green River Formation. This would apply to hemmed-in basins, most probably in tectonically active regions. In these situations a similar problem would be expected with the application of Walther’s Law, due to massive slumping of unconsolidated, fluid sediments in the basin. Such slumping could possibly trigger differential turbidity currents—catastrophic ones without modern analogues. It is not expected that the environment of deposition could be correlated with a modern lake environment. Furthermore, the fossil assemblages preserved would not represent complete ecosystems (e.g. absence of vegetative material) due to the effects of hydrodynamic mixing and sorting. Mass mortality is also expected.36 These factors mean that successful depositional models based on uniformitarian assumptions will not be possible.37 Under the envisioned rapid depositional model, more traditional but still catastrophic transport may actually play a greater role than slumping. Uniformitarian models have failed to explain the remarkably well-preserved fish fossils in the Green River Formation. Although the models have been frequently changed, and become progressively more complex, they still do not account for the geological observations. The ‘problematic’ observations include: variations in the number and thickness of laminae between time-synchronous events, the flatness and geographical extent of the layers, the presence of soft sediment deformation structures, fossils of bottom-feeding catfish, lack of evidence of scavenging, evidence that the fish suffocated quickly, and the abundance of fish coprolites. Experiments on modern fish faeces show that burial must have occurred in less than 24 hours. Thus, the Green River Formation is not valid evidence for long geological ages. Rather, all the above evidence is easily explained by a model where the Green River Formation was rapidly deposited in a series of catastrophic events, possibly the result of a series of extraordinary rainfalls. This simple explanation accords with the observations, and can be extended to other, similar depositional basins. This model fits with the 6,000-year time frame of the Bible. I would like to thank Jonathan A. Woolley and Ulrich’s Fossil Gallery for the collection and selection of specimens, Joshua A. Woolley for obtaining references, Barry Lee Woolley for assistance with reference selection and writing, and the reviewers for many helpful suggestions and corrections. Michael Noonan is greatly thanked for taking all the photographs for this article. Daniel A. Woolley is an eighteen-year-old student of science from Rhode Island, USA, and an avid reader of creation science material. Not content with theoretical studies and second-hand information, Daniel prefers to go to the mine and quarry to check the evidence first-hand for himself. Return to text. 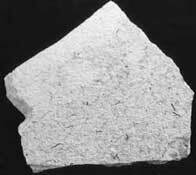 Trona, [Na3H(CO3)2.2H 2O], or hydrous sodium acid carbonate, occurs as white or yellowish-white tabular crystals. It is an important source of sodium compounds. Ferber, C.T. 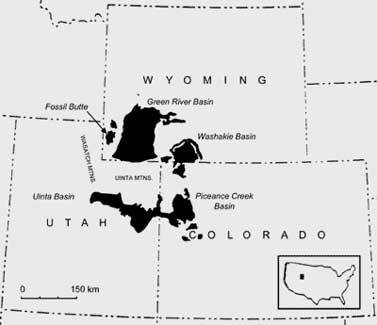 and Wells, N.A., Paleolimnology and taphonomy of some fish deposits in 'Fossil' and 'Uinta' lakes of the Eocene Green River Formation, Utah and Wyoming, Palaeogeography, Palaeoclimatology, Palaeoecology 117(3-4):185-210, 1995. 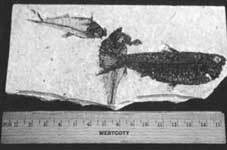 Cope, F.D., The Vertebrata of the Tertiary formations of the West, U.S. Geological and Geographical Survey of the Territories 8:1009, 1884, first described the fossil fish fauna in detail. Banister-Marx, J. and Flammer, L., Varves: dating sedimentary strata, <www.indiana.edu/~ensiweb/lessons/varves.html>, 17 November 2000. This article describes a classroom teaching activity where students count the layers in a shale billet from the Green River Formation to provide 'tangible' evidence of 'geological events over many millions of years'. Hayward, A., Creation and Evolution: The Facts and Fallacies, Triangle, London, pp. 87-88, 1985. Limnology is the study of fresh waters such as ponds and lakes. Bradley, W.H., Limnology and the Eocene lakes of the Rocky Mountain Region, Geological Society of America Bulletin 59:635-648, 1948, and subsequent publications. Eugster, H.P. and Surdam, R.C., Depositional environment of the Green River Formation of Wyoming: a preliminary report, Geological Society of America Bulletin 84:1115-1120, 1973. Bradley made similar but partial playa proposals in 1925. Bradley, W.H., Shore phases of the Green River Formation in Northern Sweet-water County, Wyoming, U. S. Geological Survey Professional Paper 140, 1925. Boyer, B.W., Green River laminites: does the Playa-Lake Model really invalidate the Stratified-Lake Model? Geology 10(6):321-324, 1982, and references cited therein. Cole, R.D. and Picard, M.D., Comparative mineralogy of nearshore and offshore lacustrine lithofacies, Parachute Creek Member of the Green River Formation, Piceance Creek Basin, Colorado, and Eastern Uinta Basin, Utah, Geological Society of America Bulletin 89:1441-1454, 1978. Carroll, A.R. and Bohacs, K.M., Stratigraphic classification of ancient lakes: balancing tectonic and climate controls, Geology 27(2):99-102, 1999. Buchheim, H.P. and Benton, R., The Dynamics of Fossil Lake, National Park Service, Corvallis, Oregon, pp. 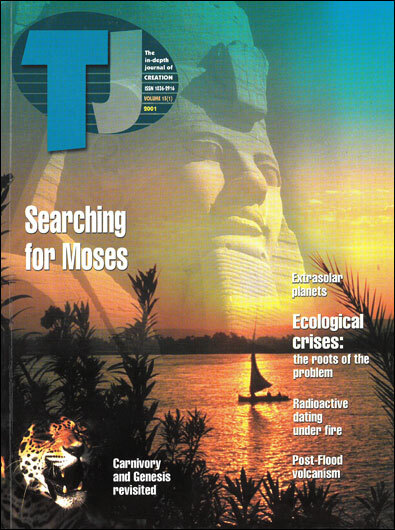 14-15, 1981. Note that creationists objected early to the identification of the Green River Formation laminae with known glacial varves based on the physical characteristics and composition of the laminae. See, for example, Whitcomb, J.C. and Morris, H.M., The Genesis Flood, Presbyterian and Reformed Publishing Co., Phillipsburg, p. 425, 1961. Buchheim, H.P. and Surdam, R.C., Fossil catfish and the depositional environment of the Green River Formation, Wyoming, Geology 5(4):l96-198, 1977. Ferber, C.T., Environmental Interpretation of Fish Deposits in the Eocene Green River Formation of Utah and Wyoming, Master's Thesis, Kent State University, Kent, Ohio, 1987. Buchheim and Benton, Ref. 12, pp. 14-15. The thickening occurs toward the basin margin as would be appropriate for a playa-lake model or a catastrophic model. Desborough, G.A., A Biogenic-Chemical Stratified Lake Model for the origin of oil shale of the Green River Formation: an alternative to the Playa-Lake Model, Geological Society of America Bulletin 89:961-971, 1978. Carroll and Bohacs, Ref. 11, p. 99, discuss how geologists usually adopt 'an ad hoc approach to interpreting ancient successions ... whereby each occurrence is treated as unique'. Surdam, R.C. and Stanley, K.O., The stratigraphic and sedimentologic framework of the Green River Formation, Wyoming, Guidebook to Annual Field Conference, pp. 205-221, 1980, qualitatively admit to the 'highly unlikely' probability of any mechanism having 'occurred repeatedly to cause the changes observed' in the portion of the Green River Formation they studied. Wells, N.A. et al., Discriminant analysis of fish-bearing deposits in the Eocene Green River Formation of Utah and Wyoming, Palaios 8(1):81-100, 1993. Surdam, R.C. and Stanley, K.O., The stratigraphic and sedimentologic framework of the Green River Formation, Wyoming, Guidebook to Annual Field Conference, pp. 205-221, 1980. The gradient increases in a narrow belt adjacent to the mountains. There seems to be no controversy on this point—there is a consensus that the law is violated. However, High, L.R. and Picard, M.D., Sedimentary cycles in Green River Formation (Eocene): a modification of Walther's Law, Proceedings of Geological Society of America Meeting at Columbus, Ohio, Geological Society of America, Boulder, Colorado, p. 21, 1969, argue for a modification of Walther's Law that is claimed not to violate its original intent. Buchheim, H.P., Eocene Fossil Lake, Green River Formation, Wyoming: a history of fluctuating salinity; in: Sedimentology and Geochemistry of Modern and Ancient Lakes, Society for Sedimentary Geology, Tulsa, pp. 239-47, 1994. Buchheim, H.P., Breccias, mudflows, turbidites, fossil soils, or transposition structures? 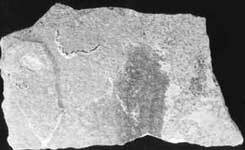 A case study from Eocene Green River Formation, Wyoming, American Association of Petroleum Geologists 66(5):553, 1982. See footnote 37 for more on mud-cracks. The idea that the basins were created by rapid tectonic changes could be included in a creationist model. A catastrophic deposition model would explain the plasticity in the stratigraphic layers, as inferred from observations of the geological structures. Milton, C. et al., Silicate mineralogy of the Green River Formation of Wyoming, Utah, and Colorado, International Geological Congress, pp. 171-84, 1960. The tenuous and inexact nature of the interpretation given to good field observations on the Green River Formation can be seen in the following quote from Buchheim, Ref. 24, p. 553. 'After a careful study of these sediments and their vertical and lateral associations, they are actually seen to be transportation structures that result from instratal viscous or hydroplastic flow' rather than the 'breccias, mudflows, turbidites, or fossil soils' they had previously been thought to represent. This quote is all too typical of the latitude in interpretation that can be given to the same data, depending on the geologist's intellectual bias. 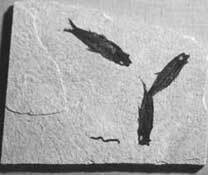 Buchheim, H.P., Paleoenvironments and sediment-fossil fish relationships: a case study from the Eocene Green River Formation, Wyoming, Fourth North American Paleontological Convention, 1986. Edwards, P., Preliminary notes on fish coprolites from the Green River Formation (Eocene) of Wyoming, Proceedings of the Nebraska Academy of Sciences and Affiliated Societies, Lincoln, Nebraska, p. 40, 1975. Edwards, P., Fish coprolites from Fossil Butte, Wyoming, Contributions to Geology, University of Wyoming, Laramie, 14(2):115-117, 1976. The Fossil Butte site also has sections having the same range of coprolite density. 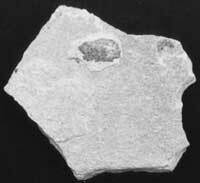 Fish and coprolites from the Fossil Butte split-fish layer are considered to have been in a fresh water environment. The experiments were repeated for the carnivore fish in water at pH 8.9 and similar results were obtained. The herbivore fish were Carassius Auattts (goldfish). The carnivore fish were Salmo trutta (brown trout). The omnivore fish were of a number of species. Taphonomy is the study of processes of fossilisation; how dead things are incorporated into the fossil record. Isotopic deviations in the layers may reflect this 'rain out', and such an interpretation would eliminate the discrepancy in estimates of paleographic mountain heights. Norris, R.D. et al., Skiing in the Eocene Uinta Mountains? Isotopic evidence in the Green River Formation for snow melt and large mountains, Geology 24(5):403-406, 1996. Leggitt, V.L. and Buchheim, H.P., An avian botulism epizootic affecting a nesting site population of Presbyornis on a carbonate mudflat shoreline of Eocene Fossil Lake, Sixth North American Paleontological Convention: Abstracts of Papers, Paleontological Society Special Bulletin Number 8, Knoxville, Tennessee, p. 234, 1996. Breithaupt, B.H., Eocene mammals from the Fossil Butte Member of the Green River Formation, Fossil Basin, Wyoming: chronology and environmental implications, Abstracts and Program of Geological Society of America, 43rd Annual Meeting, May 21-23, 1990, Rocky Mountain Section, Jackson, Wyoming, p.4, 1990. Many other observations on the Green River Formation can be interpreted as supporting a catastrophic model. Due to space limitations, only mud cracks will be briefly mentioned. The 'deepest mud cracks form at the very margin of the lake' although 'mud cracks in relatively deep water lacustrine deposits' can be found. There are also 'microfaulted deep mudcracks'. Good preservation statistically correlates with more mudcracks and perfect fossils are sometimes cut by mudcracks. Mudcracks have been used as evidence for the playa-lake model. However, they are usually 'incomplete mudcracks (synaresis cracks: short, wide, shallow not interconnected), very distinctive, and problematic cracks in some fine and laminated Green River micrites' which have been considered as subaqueous. They are incomplete mudcracks not connected into polygons. These are more likely to be associated with a settling mass of sediment from a catastrophic event than from a sun-dried mudflat environment. The break-up and sinking of algal mats has been offered as an alternate explanation. Milton, C., Chao, E.C.T., Fahey, J.J. and Rose, M.E.M., Silicate mineralogy of the Green River Formation of Wyoming, Utah, and Colorado, 21st International Geological Congress, Copenhagen, p.172, 1960.